2. 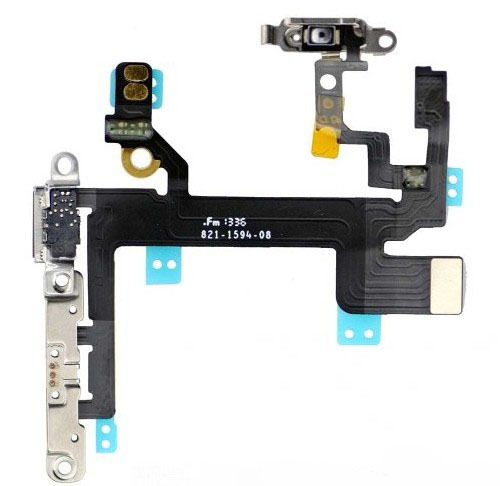 The Power On/Off Volume Button Flex Cable Ribbon Assembly with metal plate is 100% compatible with iPhone 5s. 3. This item comes with the Power Button Retaining Bracket, Volume Button Retaining Bracket, Mute Button Retaining Bracket and Flex Cable Ribbon. 4. This perfect replacement parts to replace the bad, damaged or unusable power volume button flex cable for iPhone 5s.